If you were seriously injured at a Broward County Costco, then you need to consult with the best Broward Costco accident attorney you can find. While it is possible to make a financial recovery for injuries caused by Costco, it will take time, patience and persistence. Costco puts on vigorous defense for nearly all personal injury claims. At the Wolfson Law Firm, our Broward Costco accident attorneys are available to answer your questions. Our Broward personal injury lawyers are not intimidated by the financial strength of Costco. Our only goal is to make certain that our clients get full and fair compensation for their damages and injuries. Call us today at (855) 982-2067 for your free personal consultation. Costco has more than 214,000 employees. It is a publicly traded company. It was originally founded in July 1976 and it was called Price Club in San Diego. Seven years later it was renamed Costco in Seattle Washington. Costco stores present many of the same potential hazards as other warehouses and supermarkets. 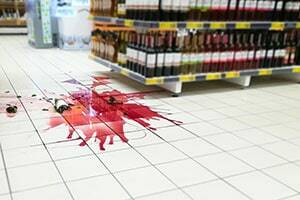 In addition, Costco has two features which cause or contribute to slip and fall accidents in Costco. The first is the food samples that are provided throughout every Costco every weekend. Customers are encouraged to try samples while they shop. But people make mistakes and sometimes those samples and on the floor the question becomes whether Costco cleans it up fast enough. The second feature is probably one of the more popular locations at every Costco – the food court. It is a limited item menu usually featuring pizza hot dogs and drinks. Sometimes these items and up on the floor and people get hurt. Again, the question will be whether Costco knew or should have known about the spilled soda, hotdogs, pizza or salad. Costco must be held accountable for any injuries and harms that Costco caused. You can make the first move to hold Costco responsible by calling (855) 982-2067 for your free consultation with the Broward Costco accident lawyers at the Wolfson Law Firm.